Preliminary results of the Digital Mammographic Imaging Screening Trial (DMIST), one of the largest cancer screening trials ever conducted by radiologists, were published September 16, 2005 by the New England Journal of Medicine and at a meeting of the American College of Radiology Imaging Network (ACRIN). 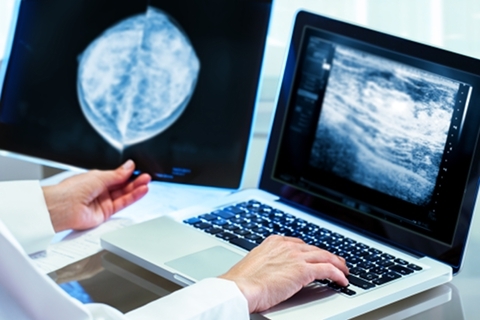 This large-scale, multi-center clinical trial was designed to measure differences in diagnostic accuracy between digital mammography and film mammography. The study revealed that digital mammography was significantly better in screening women in three categories. Women who fall into the following categories should always have digital mammograms for their annual screening mammograms and for any additional work-up with diagnostic mammograms. Women under age 50 (no matter what level of breast tissue density they had). Women of any age with a previous mammogram report describing the breast tissue as intermediate, heterogenously, very dense or extremely dense breasts. Women of any age who are pre- or peri-menopausal (defined as women who had a final menstrual period within 12 months of their mammograms). The biggest benefit of digital mammography is outstanding image quality. In 2005, the New England Journal of Medicine published results from a large study indicating that digital mammography found 28 percent more cancers in women under 50 than film mammography.